Westford, Massachusetts is a community-oriented town with much to offer home buyers looking for a peaceful setting, with easy access to necessary amenities. Incorporated in 1729, Westford originally was a farming community and later became known for its mills and granite quarries. Today it also is home to many high-tech businesses. The housing stock in Westford reflects these periods in the town’s history, from stately mill owners’ homes and workers cottages in the Forge Village and Graniteville sections of town, to farmhouses dotting the rolling hills, and new developments featuring spacious modern homes. Westford, MA offers real estate in a wide array of styles and prices, including condominium living. In 2012, there were 238 single-family homes sold in Westford, an increase from 178 home sales in 2011 and 187 home sales in 2010, according to MLS Property Information Network, Inc., the local multiple listing service. Thirty-five single-family homes were sold in the first quarter of 2013. The median home price in 2012 was $438,250, and the most expensive home sold was $1,367,577. Westford saw 78 condos sold in 2012, an increase from 47 condominium home sales in 2011. The median condo price in 2012 was $325,450, and the most expensive condominium sold was $575,000. Westford, MA is attractive to home buyers for the quality of its schools and its proximity to centers of employment. Once there, residents discover the many special things about Westford that make the quality of life exceptional. Residents are committed to maintaining the small town New England feel that makes Westford a desirable place to live. The year is punctuated by a variety of popular celebrations hosted by various civic organizations – from the springtime Apple Blossom Parade and Carnival, to the summertime 4-H Fair, to the annual Christmas carol and tree lighting on the town green after Thanksgiving. The town itself also hosts many free events, such as the Winterfest, located at the 236 acre parcel of town land known as East Boston Camps. The town’s farming heritage is evident during the summertime weekly Farmers Markets on the town green, or the seasonal hayrides and pumpkin picking at local farms. If organized events are not your thing, opportunities to enjoy the solitude of nature abound. Westford, MA makes a financial commitment by residents and conservation organizations to maintaining open space for everyone’s enjoyment. Emmett Conservation Land offers the chance to fish or swim in a clear pond accessible only on foot. Or get out of the gym and utilize the wooded exercise circuit around Grassy Pond. Although Westford provides a great retreat from busy work and city life, it is conveniently located next to major highways and is just 25 miles northwest of Boston. Its location, which is in close proximity to many high-tech companies, is particularly attractive to home buyers who work at high-tech firms west and northwest of Boston. Residents have direct access to two major highways, I-495 and Route 3, to bring them to various points west and north of Boston. Westford also has convenient access to routes 2, 40, 119, and 225 for local travel. In addition, residents have a 15-minute drive to the State of New Hampshire. Westford employs a full-time fire and police staff and has a full-service public works department. All residents have curbside trash and recycling pickup, and the city handles all public maintenance, repairs and snow removal. Homes in Westford are served by a combination of public and private water supplies. Westford, MA is extremely proud of its hiqh quality schools. Students enjoy attending three lower elementary schools, three upper elementary schools, two middle schools, and one high school (Westford Academy). Through the many sports and recreation programs offered by the town and through the Roudenbush Community Center, students are well-acquainted by the time they reach high school together. Westford maintains a half-day kindergarten program, with the exception of one full-day, Integrated Kindergarten program offered at the Miller Elementary School. The town also provides affordable extended-day options for kindergarten students, and before and after school programs for elementary and middle school aged children. High quality private educational options also are available for after school care and for pre-school. Westford also is home to the regional technical school, Nashoba Valley Technical High School. Westford is home to a variety of dining and entertainment venues as well. Nashoba Valley Ski Area is known for its extensive ski lessons programs for all ages. Not to be missed for its unique atmosphere is the Sunset Tiki Bar and Grill at Nashoba Valley, open during the summer months. The venue offers family friendly beachside swimming and dining during the early evening hours, and live music as the night wears on. Another popular local attraction is Kimball Farm, where the lines can be long but the ice cream cones are enormous! Kimball Farm offers a variety of entertainment options, from bumper boats to batting cages. Westford also is home to the Butter Brook Golf Club, a gorgeous 210-acre golf course and The Butterfly Place, an amazing indoor garden filled with hundreds of freely-flying butterflies. 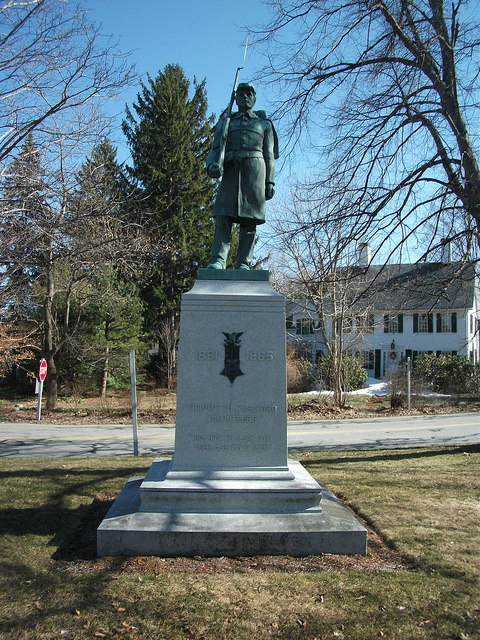 For those looking for something a bit more educational, the Westford Historical Society operates the Westford Museum, which showcases an assortment of town artifacts and photographs. The museum also houses local genealogical information and materials. 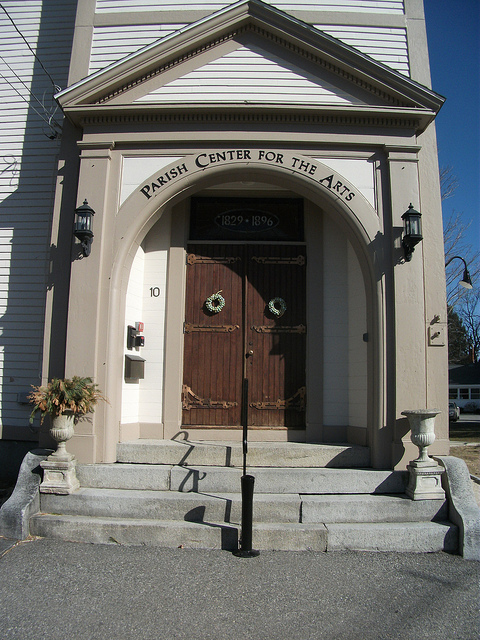 Another option is the Parish Center for the Arts, which has lively, weekly barn dances. Home buyers who are looking for a small town that emphasizes community, yet offers plenty of privacy and natural beauty would want to consider Westford, Massachusetts. This friendly town has a lot to offer its residents and offers homes suited to a variety of budgets.